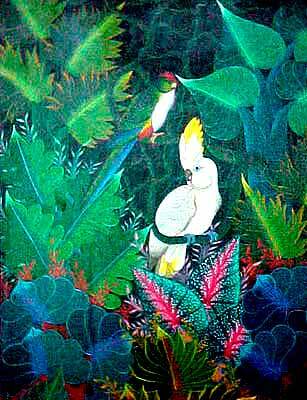 Born in Jacmel on March 20, 1954, Jacques Geslin took an early interest to drawing that led him to painting. Masters such as Jerome, Emilcar Simil and Raoul Dupoux taught him the techniques of their art for over 5 years. 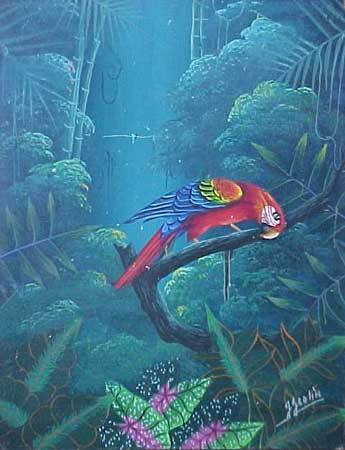 He is famous for his peaceful jungles where parrots, horses and goats coexist in luxuriant vegetation. He lives in por-Au-Prince and still paints. Collectors as well as galleries know him all over the world.